Looking for an alarm clock that will get you out of bed no matter what? Try one of these. For those with an iPhone, the iLuv bed shaking alarm clock might be the best bet. It has the added bonus of not waking up your partner too. 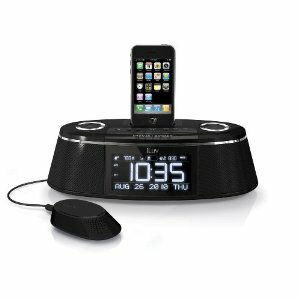 The iLuv Alarm Clock plays music from your iPod or iPhone (or the radio) and has an attachment you can put under your pillow to vibrate your bed at the same time! MIT has come up with a new product called Clocky. Personally, I think everyone just needs to get more sleep but Clocky makes for the perfect gift for that sleepyhead in your life! 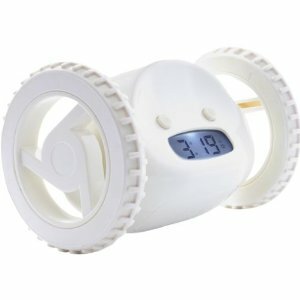 If a unique alarm clock is what you are looking for, you should also consider the Moshi voice activated alarm clock. You can set the alarm and the time simply by speaking to it. No more trying to remember which buttons to push! They are Moving My Town! What’s popular for Christmas presents this year?